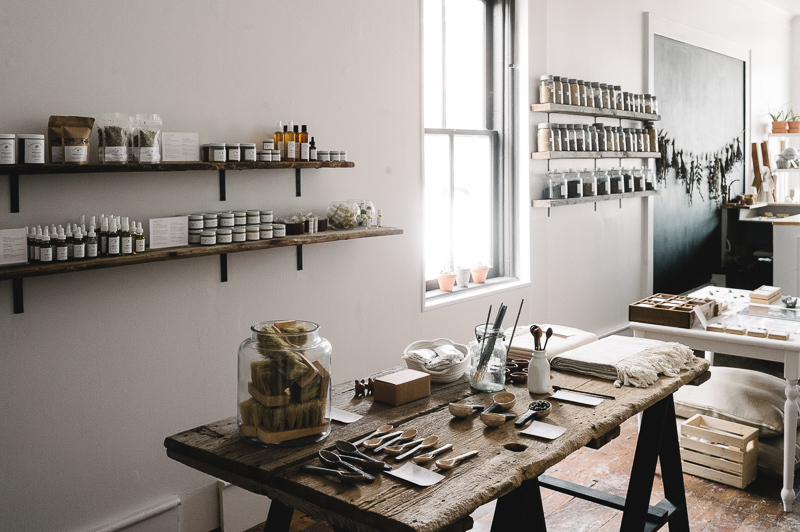 Welcome to Sundays Company - a plant-based apothecary nestled in the hills of Northumberland County, Ontario, where botanical creations bridge the space between beauty and nature. Sunday's Company is rooted in the belief that self care should be low maintenance and gratifying. Products are thoughtfully created in small batches, using only natural ingredients. No chemicals, no preservatives, no fillers-- just Mother Nature giving you exactly what you need. As much as possible, ingredients are sourced locally, through organic growing and ethical wildcrafting. I trust in the magic of our plant friends, as they hold the Earth’s energy within them, and it is my wish to offer you simple, sweet products that nourish your skin and spirit and enhance your self care practice. In 2013, my husband and I (with our pack of dogs) moved from our stressful lives in Toronto in order to adopt a simpler, unhurried one-- surrounded by nature, wildlife, and like-minded people. We fulfilled a dream to create a sanctuary for dogs called The Dog P.A.R.C. What I thought might be a slow transition into this new world, was actually a natural process for me. I felt like I had finally set my roots-- I was home, and slow living was in my blood all along. About a year after my move, my soul's purpose made itself clear to me while on a herb walk, picking plantain in a meadow. The seed was planted and it led me to where I am, right now. Sunday's Company began as an idea to offer the simplicity and gifts of the Earth, but has evolved into something bigger. 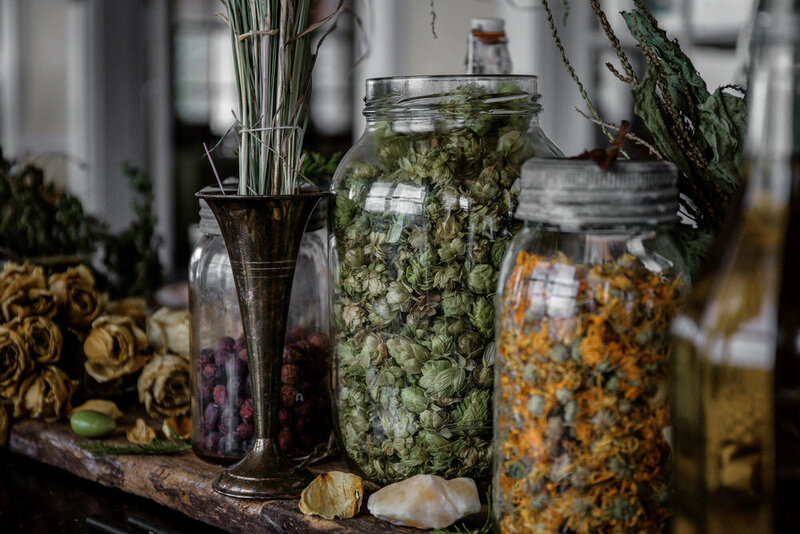 My curiosity lies mostly in the natural world where I continue to study and practice herbal self-care and believe that everything we need, Mother Nature has provided. At the same time, I'm constantly dreaming, scheming and seeking deep experiences. Always hunting for the best in people and encouraging them to live intentional and fulfilled lives, I thrive on cultivating community and bringing women together to celebrate their awesomeness. Most of the plants and herbs used in my products are harvested from my land or ethically gathered from the bountiful forests, meadows and properties in my community of Trent Hills, Ontario. These fresh, seasonal and small batch preparations take 6-8 weeks, to ensure the most potent and intentional products land in your beautiful hands. I wholeheartedly believe in supporting local, ethical, and small businesses, makers and artists. I've carefully selected goods to encourage you to create an enjoyable and deeply nourishing self care practice. These are all products that I use and love and am so excited to share with you. To compliment the online shop, you'll find workshops, events, collaborations and gatherings that cultivate community and promote slow, simple and mindful living.